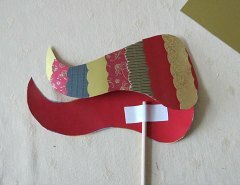 Make this gorgeous Chinese Dragon Craft to add a touch of good fortune and wealth to your home! 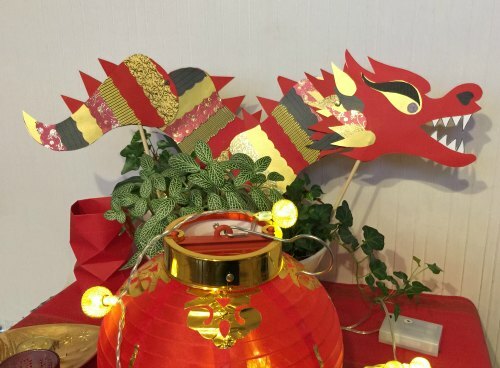 Chinese Dragons are symbols of wealth, wisdom, power and nobility, they are a must to welcome the New Year and at all Chinese celebrations. 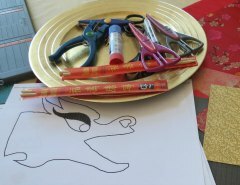 Chinese Dragons are the ultimate "good luck" symbol! 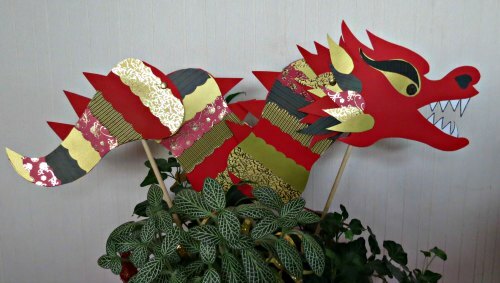 Here we show you how to make this red and gold Chinese dragon, you can use it as decoration and it also makes a cute puppet. 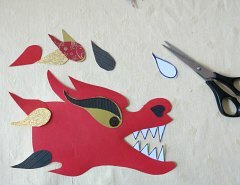 Although all the steps are quite simple, it does take a little time since there is a lot of cutting and glueing together but the results are definitely worth it! 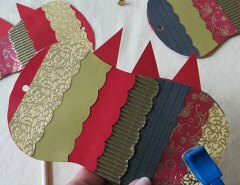 You can stick with the traditional red and gold theme as well as experiment with different colors, patterns and types of paper for more lively variations. 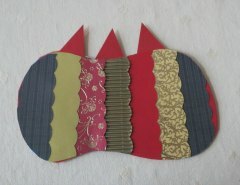 Origami paper in oriental motifs also work nicely. 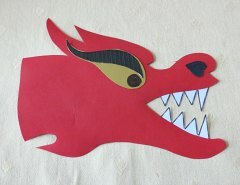 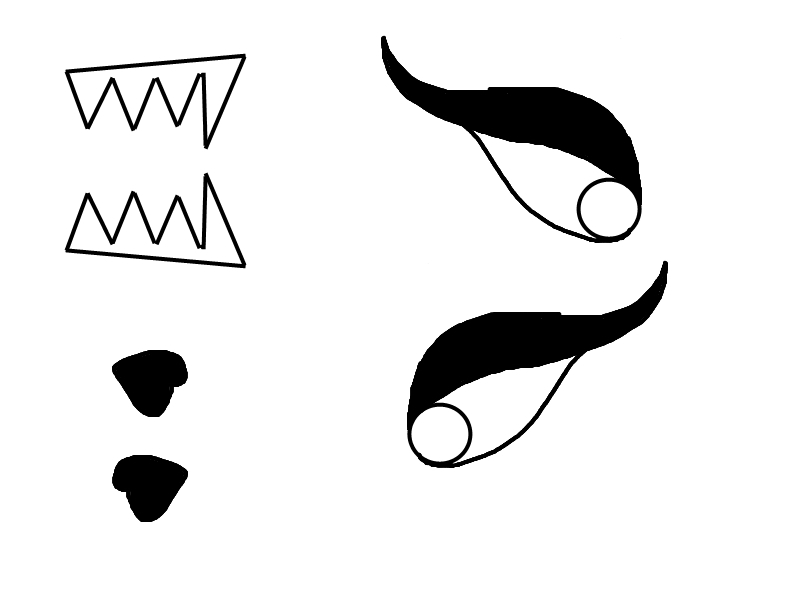 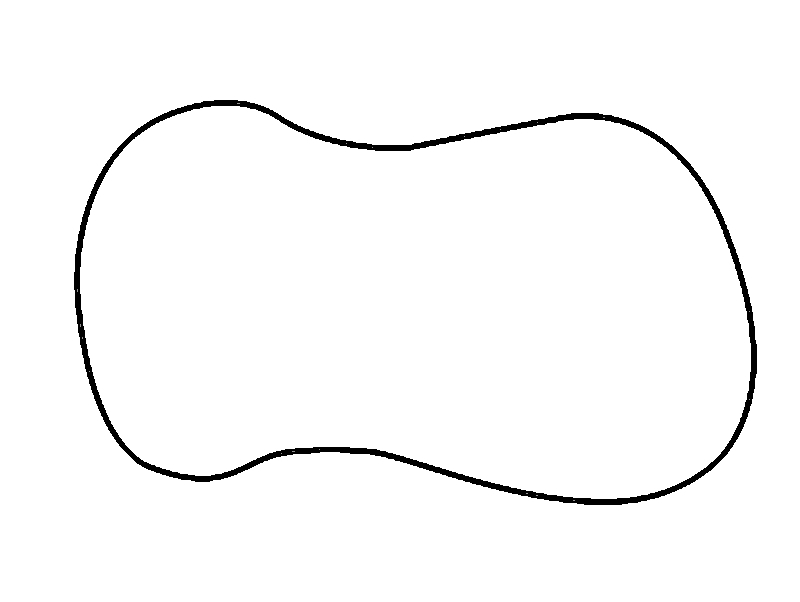 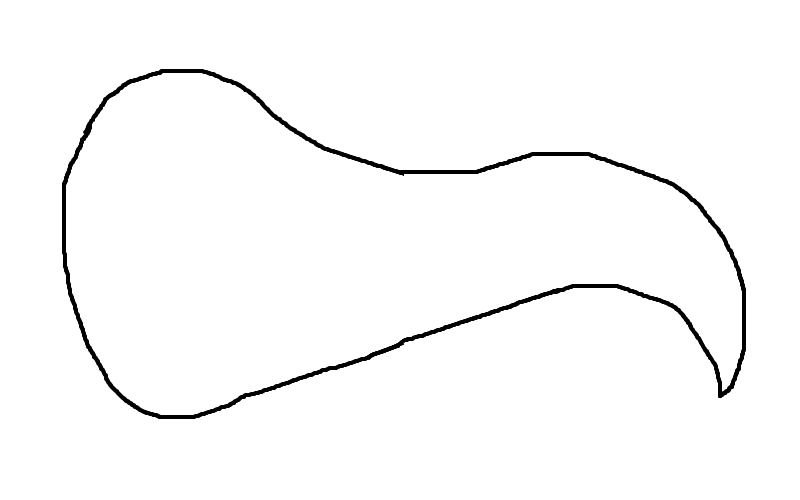 We have included templates you can use to trace all the different parts you will need to build the dragon. 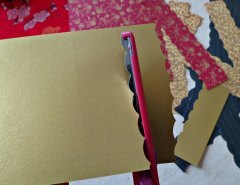 Paper in a variety of colors, textures, patterns, gold, red, origami, etc. 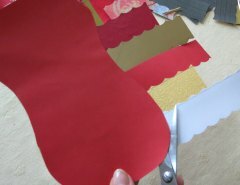 Cut stripes of color paper about one inch wide using the fun shape scissors. 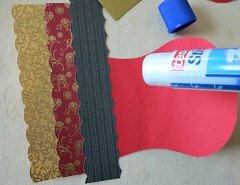 Glue the stripes to the body and tail, mixing colors and patterns, make sure it covers the body and don't worry about any excess, it will be trimmed on the next step. 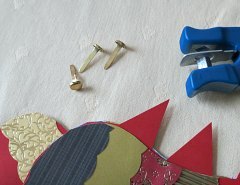 Before you start glueing, pay special attention to which side of the body or tail to glue, you will need one front and one back piece rather than two of the same. 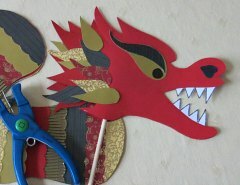 Glue the front and back of the head together, chopstick is in between. 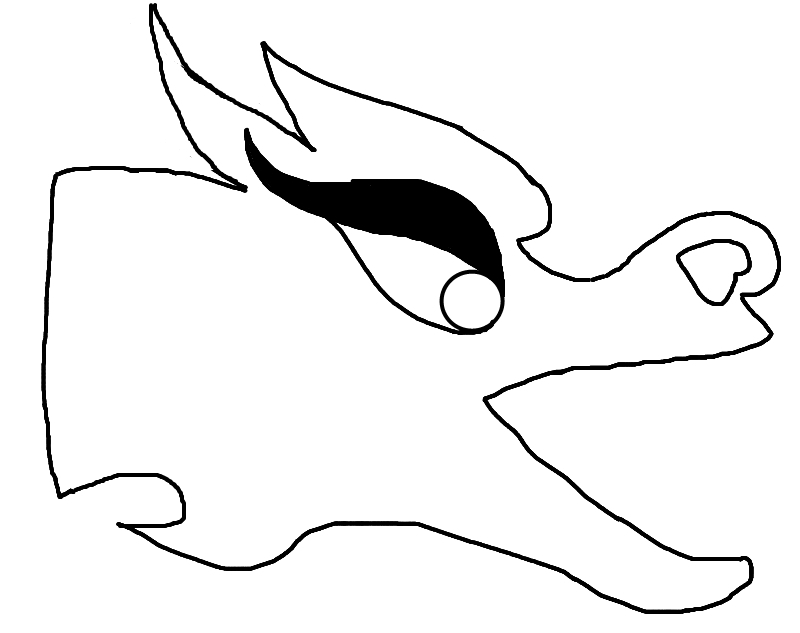 Your Chinese Dragon is ready! 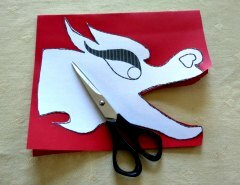 Chinese Dragons are lucky symbols, here's to Good Fortune and Prosperity! 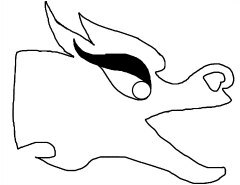 To learn more about Chinese Dragons click here!